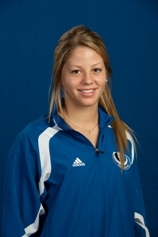 Sophie Brault, a BBA student at HEC Montréal who plays defence on the Université de Montréal Carabins women’s hockey team, has won the R.W. Pugh Fair-Play Award. She was presented with this distinction following the Canadian Interuniversity Sports (CIS) final on March 10, in Toronto, when her team knocked off the University of Calgary Dinos. Note that Sophie finished her season as the top defence player in the country (points per game) in women’s hockey. This victory was also a first national title for a Carabins team in any sport since the élite athletics program was relaunched at the Université de Montréal in 1995.